How did this idea of Wave 11:11 manifest? Speaking with author friend Carlo Ami the night before the International Day of Peace on 09/21/07, I mentioned that it was disturbing that there was no major media coverage. Knowing that war is viewed as more profitable than peace, I wasn't surprised that the media minimized the promotion of a 'peace day'. That launched this idea to continue awareness that we are indeed ALL in this together, we are One, and to be unified in Love for peace, harmony and healing to happen on Earth. 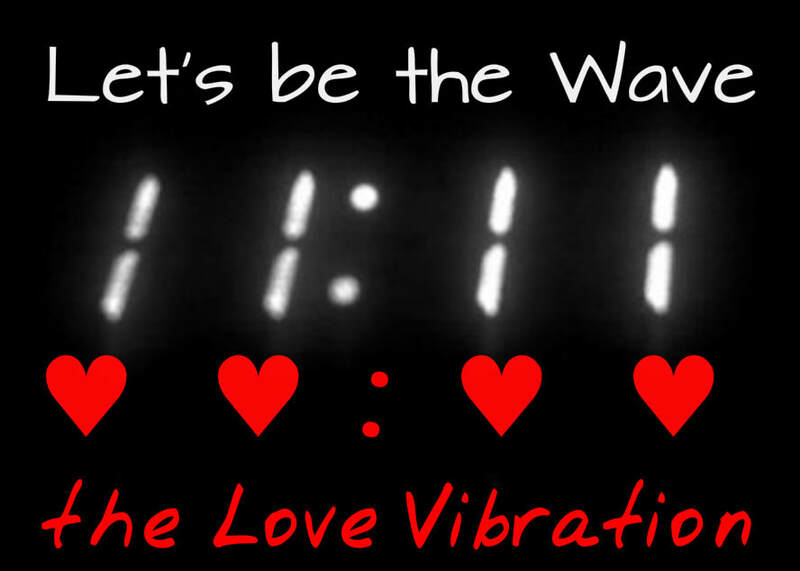 Since 11:11 is a trigger point to awareness, the idea of having a Love Wave of song, prayer & meditation across Earth on 11/11/07 at 11:11 am (your own local time) was launched the next day - 9/22 - on MySpace. Thousands joined in to participate, with it continuing each year thereafter. Please feel free to write me via the Contact section on 'Intro' page. "Enjoy this dance we call life and savor it with each new song!" All who yearn for peace, love, unity and healing on Earth. Straddling the equator and bordering the International Date Line to the east, the people of the Republic of Kiribati will start ~ Wave 11:11 ~ and it will be passed from one time zone to the next until the final destination of the island Niue, and the full day of vibrational wave energy flow will be completed. as we set the intentional focus on unconditional love. People often view the spiritual path as a search for the light. In truth, spirituality asks us to bring light and darkness together in wholeness. And in fact, this is the only possible solution. In our world of duality, any effort to focus all attention on the light only serves to increase the power of the darkness. Our aim is not to deny or reject anything but to embrace it all. Freewill Principle -- The positive path honors freewill and the less we tell someone what to believe or how to behave the better. The seed of the negative path is separation and NO unity. Love - The Spiritual Path that has no name, number, color, race, creed, sexuality - just the unique blend of who and what each and every one of us is on this miraculous journey through the life we chose this time, at this moment, in this reality and with this understanding. Music, without it, the Soul feels empty. Touch, without it we are nothing. If we can't touch each other at the Soul level then we are in a desert - lost. Faith, it doesn't have a name but just is, the faith to know you are on your intentional path.